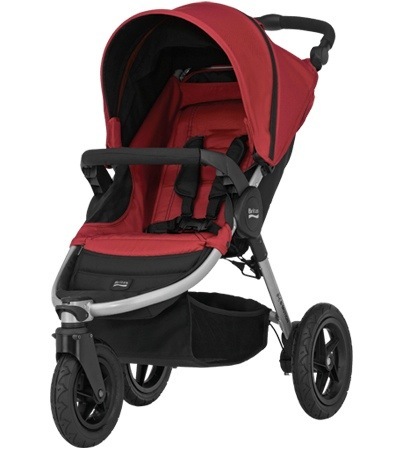 BRITAX’S B-Motion 3 wins award! The super smart stroller, which launched in 2013, achieved an outstanding rating after undergoing rigorous independent testing by the Which? team. The perfect choice for parents looking for a one-stop solution to their pushchair woes, the versatile B-MOTION 3 scored top marks for manoeuvrability on both pavements and bumpy off-road terrain thanks to its air-filled rubber wheels and superior rear suspension. The award-winning stroller features a lightweight aluminium chassis, a quick, easy one-handed fold mechanism and a height-adjustable handlebar that can be simply moved to a position that is exactly right for each individual parent. As an added bonus, the B-MOTION 3 also incorporates a protective barrier on the handle bar avoiding little tears and scratches while standing up folded. With multi-position seat recline, including lay-flat mode, the B-MOTION 3 provides the ultimate comfort and protection from birth to four years, whilst its detachable CLICK & GO® adapters create a handy travel system when used in conjunction with BRITAX BABY-SAFE infant carriers. Further features of the B-MOTION 3 include a spacious shopping basket that is ideal for storing all-important baby essentials on-the-go; a removable, washable seat cover and a raincover that protects the little ones from the elements. The B-MOTION 3 also comes complete with a bumper bar, raincover and CLICK & GO® adapters as standard which are included in the price (RRP £249.99). For more information visit http://www.britax.co.uk or call 01264 386 034. It’s Baby Show time again! Win tickets to the Birmingham Baby Show, courtesy of BRITAX! From 16th-18th May the BRITAX team will be packing their bags and heading to Birmingham for The annual Baby Show fair at the NEC. As a BRITAX Mumbassador I’ve been given a pair of tickets to give away to one of my lucky followers! At the show, BRITAX will be showcasing its brand new all-terrain power pushchair the BOB Revolution® PRO. This is the FIRST pushchair on the market that has a swivel wheel which is safe and approved* for running and skating in the UK and Europe. Adaptable and easy to use, it is also the perfect everyday stroller for any family, with a swivel front wheel that makes it easy to manoeuvre around town and will be on hand to try at the show. Also on the stand will be the versatile DUALFIX seat. This clever ISOFIX Group 0+ & 1 car seat swivels a full 360°, offering parents the choice to leave their child rearward facing up until 18kg (approx. 4 years) or turn them 180° to a forward facing position from 9kg without reinstallation. DUALFIX’s 360° flexibility offers parents the best of both worlds, empowering them to choose a position that best suits them, their vehicle and their child. Finally, BRITAX will also be showcasing its luxury pushchair, the Britax Affinity. A super-sleek pushchair for the fashion conscious mum and exuding quality, the BRITAX Affinity was created in conjunction with one of Europe’s leading designers and is as elegant as it is practical. Suitable from birth, its minimalist design gives it a distinctive, modern look, but without compromising on comfort, safety or ease of use. Enter into the give-away below and you could find yourself on your way to The Baby Show to see the most innovative and popular products on the market! Competition closes Thursday 8th May. Please use the Rafflecopter form below to enter! T&Cs apply. This competition has been brought to you as part of the BRITAX Mumbassador programme. 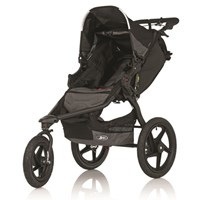 For the second year running, leading child safety brand, BRITAX, is proud to announce its dual headline sponsorship of the 2014 Bliss Buggy Push alongside sporty outdoor stroller brand, BOB. The Bliss Buggy Push involves a series of family-friendly 5km buggy walks or runs across the UK, designed to help raise money for Bliss, the special care baby charity. Bliss is a UK charity working to provide the best possible care and support for all premature and sick babies and their families. One in every nine babies is born premature or sick – that is around 80,000 babies every year. 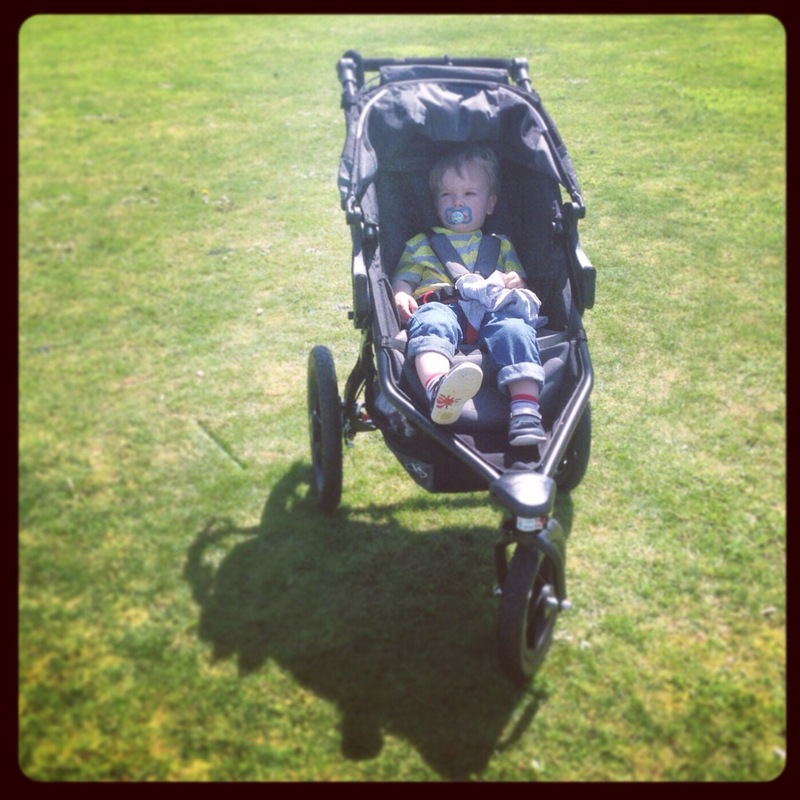 Bliss is encouraging people all around the country to organise their own Buggy Push in their local area between May and December 2014, with the flagship London launch event taking place in Battersea Park, London on 31 May. The Bliss Buggy Push series is Bliss’ most successful family fundraising event where mums, dads and children come together to raise money for the charity. Alongside sponsorship of the event BRITAX will also be giving away one of its most popular pushchairs, the BRITAX affinity, to the highest individual fundraiser in this year’s Bliss Buggy Push series. More details about the events and how to enter the competition are available here. This year, the London Buggy Push closely follows the launch of the brand new BOB Revolution PRO, BRITAX/BOB’s most versatile outdoor stroller yet. The Revolution PRO allows parents to run and train with their child, with the added flexibility of having a swivel front wheel, making it the perfect everyday stroller too. So if you’re looking for a new training companion ahead of your push this year, don’t forget to check it out. BRITAX has been manufacturing child car seats and travel systems since 1966. BRITAX has design centres in Germany and the UK where designers and engineers use state-of-the-art facilities, including their own test rigs, to pioneer innovative products and set safety standards, such as ISOFIX technology. The expertise BRITAX develops is regularly shared with governmental and safety experts worldwide. Top European test organisations, such as independent motoring and consumer organisations consistently rate BRITAX amongst the best – and constantly exceed legal safety requirements. BRITAX are the car seat of choice in 78% of vehicles tested by Euro NCAP based on 2007 crash-test results. The BOB Revolution PRO can be used in conjunction with any of the accessories currently available on the market for the BOB range. These include a Sun Shield, Snack Tray, Warm & Fuzzy cosytoes, Weather Shield and Travel Bag. There is also a bespoke infant carrier adapter allowing the BOB pushchairs to be used with the BRITAX BABY-SAFE infant carriers seats and the BOB carrycot. BOB was acquired by BRITAX in 2011 and the BOB product portfolio was launched into the European market in 2012. – providing practical and emotional support for families during an extremely difficult time, so they can give the best care to their babies. – encouraging health care professionals to deliver family centred care, funding specialist Bliss nurses in hospitals and supporting research to improve care of all premature and sick babies. – raising awareness of the issues affecting special care babies and fight for essential change within government and the NHS. This post was brought to you as part of the BRITAX Mumbassador programme. This competition has now closed and the winner has been chosen. Taking place from the 21st -23rd February at ExCel London, The Baby Show is the UK’s leading pregnancy and parenting event. There will be hundreds of stands, which will feature anything and everything baby and toddler-focused – from innovative new inventions to showcases from all your favourite brands. There will also be hourly guest speakers including nutrition expert Annabel Karmel, breastfeeding expert Clare Byam-Cook, and infant research and professor Dr Robert Titzer. With giveaways and special offers galore, make sure you don’t miss out! To celebrate BRITAX’s continued involvement with the Baby Show and my role as a BRITAX Mumbassador, I’m really excited to be able to give away a pair of tickets to the next Baby Show in February! BRITAX’s stall will be stocked with all the latest BRITAX and BOB products, as well as having exciting offers available to Baby Show visitors. BRITAX experts will be on hand too, to explain the latest technology and take you through all the car seats and strollers on offer. 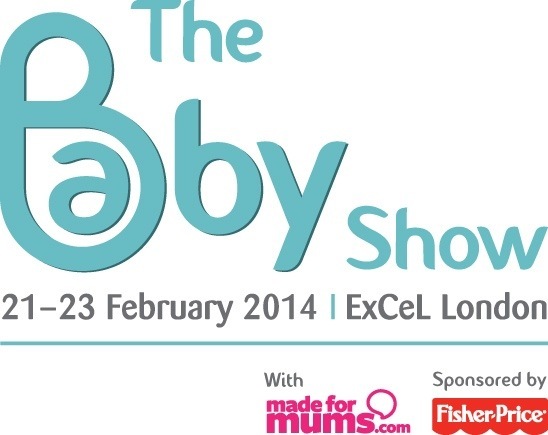 The tickets entitle you and a friend to full access at the London ExCel Baby Show on a day of your choice. Little ones get free entry so they’re more than welcome to come along too! Please use the Rafflecopter form below to enter! T&Cs apply. 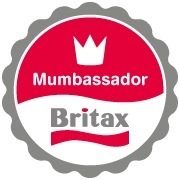 This post has been brought to you as part of the BRITAX Mumbassador Programme. BOB 30 Day Fitness Challenge! It is precisely 26 days until my birthday…that’s 26 days which I can use to actually get up off my bum and do something more active! I eat well, but exercise always eludes me. Once I get into something regularly then I’m focused…especially if I have a goal. So, seeing as I will be 37 (eeeek!) in a few weeks – and on my birthday I have to attend a friend’s 40th birthday party – I have an incentive and need to start now! 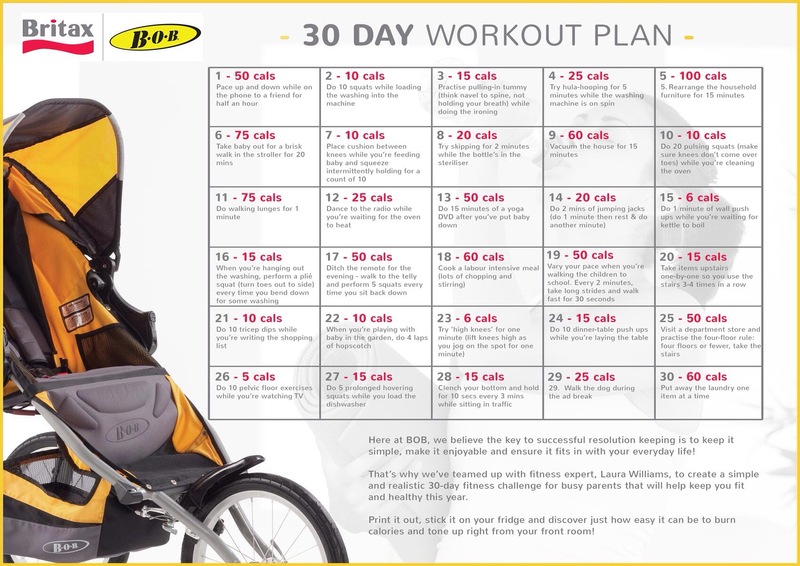 GET BACK IN SHAPE WITH THE NEW BOB 30 DAY FITNESS CHALLENGE! We all love to begin the New Year with the best of intentions, vowing to ditch bad habits and have a healthier and happier year ahead. But as we all know, will power can dwindle all too quickly. Many people will already have abandoned their resolutions just weeks into the New Year – in fact Friday 24th Jan is ‘Fail Friday’ – the day where resolutions are most likely to be broken! Are you committed to sticking to your New Year’s resolutions this year? Resolutions often sound easy but are harder to put into practice – resolutions like spending more quality time with the family, planning regular date nights with our other halves, eating more healthily as a family and exercising more to shift those extra baby pounds. We start with the best intentions to keep to them but they can often fall by the wayside. We believe the key to successful resolution keeping, is to keep it simple, make it enjoyable and ensure its meshes with your everyday life! That’s why BOB have teamed up with fitness expert, Laura Williams, to create a realistic 30-day fitness challenge for busy parents, designed to help you burn calories and tone up simply by doing everyday tasks around the home. This 30-day calendar can be printed and kept somewhere you can read it every day – such as the fridge door. It will provide mums and dads with daily hints, tips and motivating advice that will not only make you smile but get your heart beating too – best of all, everything can be done whilst with your little one! Check out more information on the exciting BOB range and don’t forget to print your very own plan and get active today! You can also get some more amazing advice and ideas from the Active Parents website! 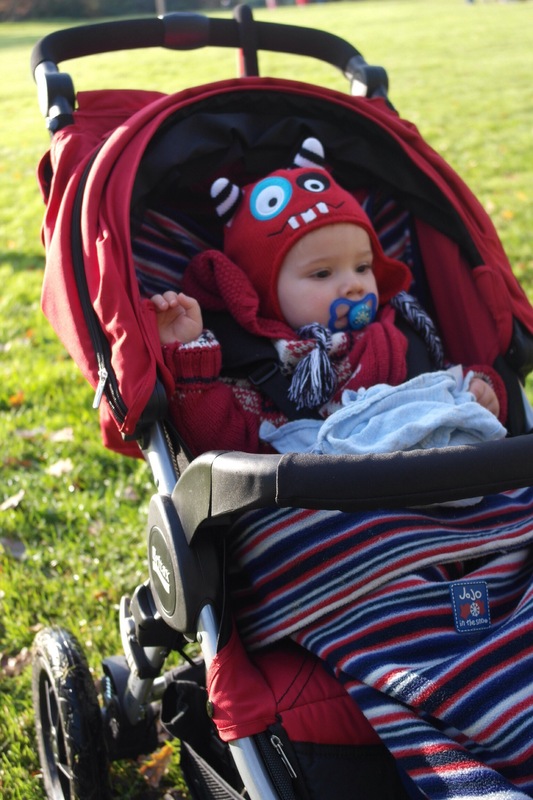 As a mum of three children I’ve used a fair number of prams, pushchairs and strollers, and I think it’s very telling that each time I had a new baby I’ve had a new pram…for I’d never settled on one I absolutely loved above all others. I’ve had travel systems, lightweight strollers, four wheelers, three wheelers and everything in between. 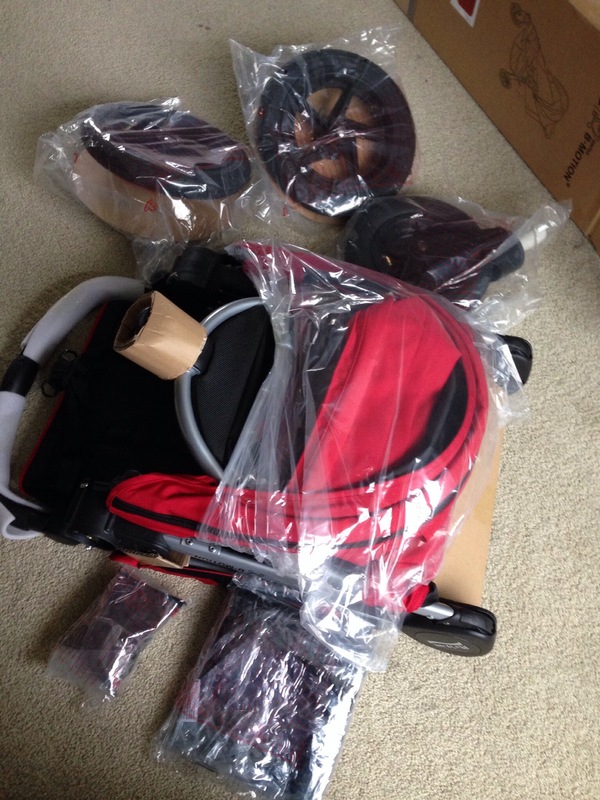 So after becoming a BRITAX Mumbassador, when they sent me an email asking me to review the new B-Motion 3 I literally jumped up and down on the spot. I didn’t like the pram I currently had – it was rickety didn’t feel sturdy and as a three wheeler would tip over at the slightest imbalance, – so I was very excited to be offered this fantastic review opportunity, and couldn’t wait for the delivery. 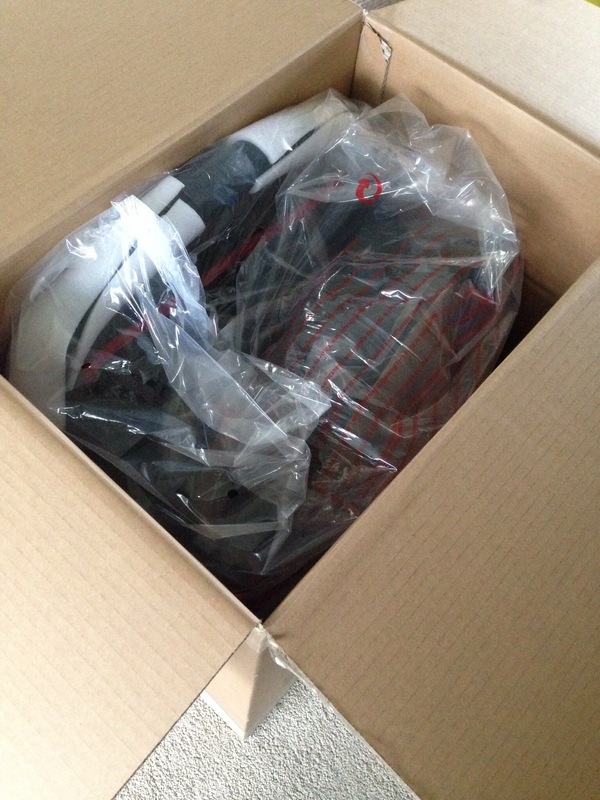 It came a few days later and I un-boxed it quickly. I was going to wait until all three of my children were asleep before assembling it as I wanted to concentrate fully…however, assembly was so ridiculously easy I did it then and there. The instructions were clear and the parts fitted together like a dream…and off on the school run we went. The first thing I noticed was how secure and steady the B-Motion 3 felt. It was strong, robust and – unlike the pram I had been using – didn’t feel like it was going to tip over at all. Over the last few weeks I have used the pram in many different places: on farms, in shops, fields, on pavements, mud…and have tested it thoroughly. Here is my list of positive things about the pram, and (only a couple) of minor things not so positive for me. * SIMPLICITY: The ease with which this pram is put up and subsequently collapsed is brilliant. You can simply collapse it one-handed by just pressing a button on the side, lifting up the fabric handle in the middle and it’s neatly folded in half. And to put up, press one button and pull up on the handle bar. I’ve had elaborate affairs before that take all manner of wangling to get up and down – one pram my husband even refused to use because it was so complicated. This one, with it’s one handed pull-fold mechanism, is by far the simplest pram I’ve ever used. *STURDINESS: This pushchair feels so secure when you push it. It’s strong and well built and I felt my toddler was extremely safe when placed in it. As a three wheeler it’s great to push and I’ve even (shock horror for those who know me) been running with it which was a dream. 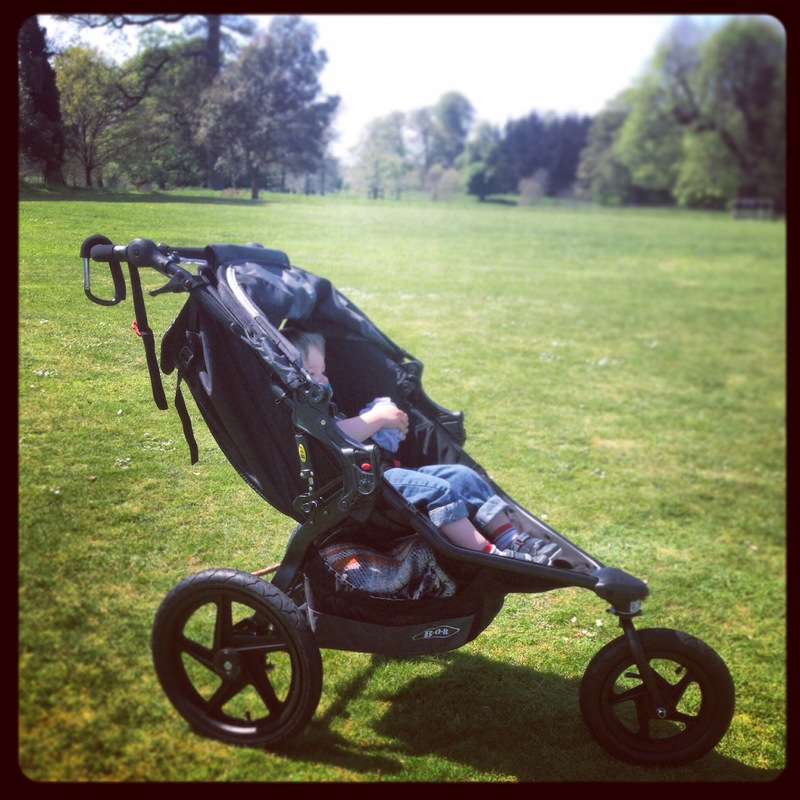 (shin splints aside) The lockable swivel front wheel is great if you do want to run or jog with the pushchair. 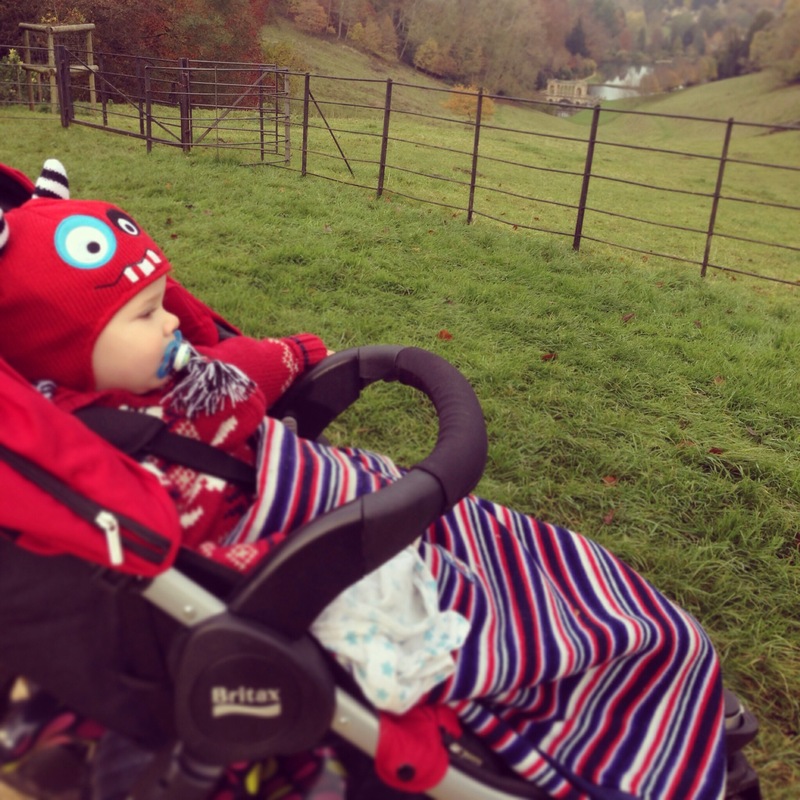 *SMOOTH: It really is a brilliant all-terrain pushchair. It travels over bumpy grounds and rides over grass and pavements with ease. When my toddler falls asleep in the B-Motion 3 (which is rare, but that’s down to him not the pushchair!) whatever the level of unevenness the ground throws at me the journey is always smooth and he stays asleep. Without doubt the superior rear suspension provides an extremely smooth ride, while the air-filled rubber wheels allow you to tackle any terrain. *SIZE: The B-Motion 3 is not as bulky as other pushchairs I’ve had. It’s not as wide as other prams and pushchairs and can be easily manoeuvred around shops (no more knocking things off shelves or having to reverse out awkwardly!) and folds down flat and compact to fit easily in the boot of a car. Perfect! *SUN-SHADE and STORAGE POCKET: The sunshade of the pushchair clicks into three different position offering various levels of shade, without totally encasing my toddler so he can still see the surroundings! It also has a little viewing hole so I can still see him, which is very useful. And the large storage pocket in the canopy, which hangs under the handlebar is genius; I put a couple of nappies, wipes and snacks in there so I’m never caught short! * STORAGE: There is a lovely big basket under the pram to put shopping bags or anything else you might need, however sometimes I found it tricky putting things in there and had to approach it from the side, pulling down the net to do so as the bar at the back of the storage is very sturdy and doesn’t leave a lot of room to put things in. *RAIN COVER: This one really applies to all rain covers, I find them bulky and not easy to transport around with any pram or pushchair and sadly this rain cover is the same. Unless it’s raining and the cover is in use it’s difficult to take anywhere with you as it doesn’t fold down well or fit in the storage easily. *WEIGHT: Put simply, whilst this pram weighs only 11kg I’d didn’t think it was the lightest of prams (although equally it’s not the heaviest) and takes some effort for me to put in the boot of my car. This wouldn’t put me off having a B-Motion 3 at all though, as the positives far outweigh this minor issue for me. Overall I genuinely love this pushchair, it would seem like my quest to find the perfect one is well and truly over! My toddler is now 19 months, however this pushchair can be used from birth – Using the detachable CLICK & GO® adaptors, you can simply fit the BABY-SAFE infant carriers, BABY-SAFE Sleeper or carrycot directly onto the chassis to create your ideal travel system. B-MOTION also features a multi-position seat recline including a lay-flat mode, vital for newborns. I really would highly recommend the B-Motion 3. I received the B-Motion 3 for the purpose of this review as part of the BRITAX Mumbassador programme. 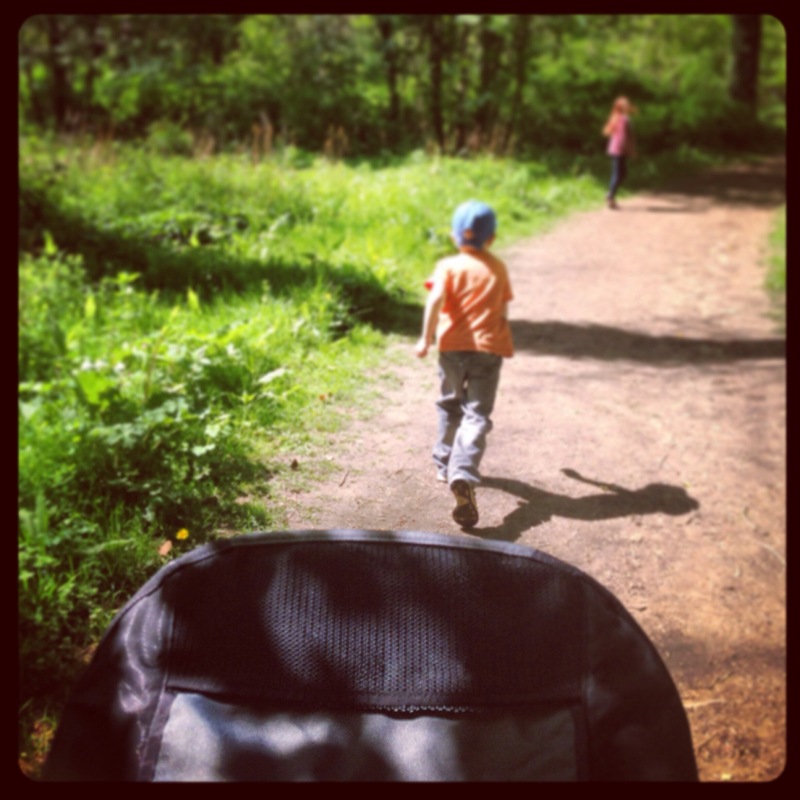 Choosing the Right Pushchair for Your Family! From lightweight three-wheelers to travel systems and off-road strollers – there’s a huge array of pushchairs available to choose from, and it can be difficult for new parents to know where to start. Ask any seasoned mum if she would fork out for the same first pram again and she is likely to say no. In fact, she is more than likely to have one or two more prams back at home in her quest to find the pushchair that satisfied all her and her baby’s needs. BRITAX has been speaking and working with mums for decades, and, in the hope of helping new mums learn from other mum’s mistakes and save some serious time and money, we have developed a few simple tips to consider before splashing hard earned cash. Think comfort. A comfy baby is a happy baby, so think seats that fully recline, are spacious and well padded. Think cosy footmuffs, smart raincovers and hoods that protect your little ones from the elements. Think practically. Don’t forget, the needs of a baby and toddler are very different and they soon grow. Older toddlers will still need space for a comfortable snooze when their batteries run low. A boisterous toddler (and tired mum) can be heavy handed and you need to look for a pushchair that has good quality features that can stand a good deal of wear and tear. Also, think, will the pushchair be handed down to a new sibling in a couple of year’s time? Look for a hardwearing fabric that will work for both boys and girls. Do you need something lightweight that you can easily get on and off buses, fold up quickly to put in the boot of your car? Carry up a flight of stairs? Do you need a heavy weight pram that you can pound the pavements with, with a large shopping basket for all your food shopping? Considering your lifestyle requirements alongside the needs of your child are key in selecting the right pushchair for your family. With almost 50 years’ experience in manufacturing pushchairs and travel systems, BRITAX has something for every family and every lifestyle. You don’t need to spend a fortune to get great quality practical features. You need a pushchair that reclines, is well padded, is safe and provides a comfortable experience for both mum and baby. Think carefully about whether you will be passing the buggy down to a future sibling – in which case it may be worth spending a little bit more money to ensure it wears well. Shop around for the best deals, as there are always great offers. BRITAX offers something for every family and for every budget. Think about where you will be storing the pushchair – in your car, in the hallway, have you got the right amount of space? Look and see which accessories are included in the price, there are always some great deals to be had. And remember, it is possible to tick all the boxes; it just takes a little research and testing! This post was brought to you as part of the BRITAX Mumbassador program of which I am extremely lucky to be a part of. Oh today gorgeous readers do I have something exciting for you on my blog…a competition! My first one! So…are you pregnant? Do you have a baby, two babies, toddlers?! Do you want to go somewhere where there are many amazing products and brands (including BRITAX) all under one roof? If the answer to any of those questions is yes then you will love this competition…. 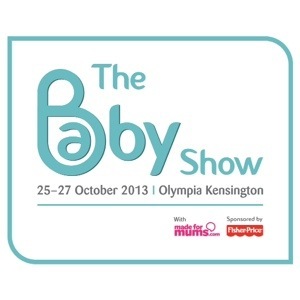 Taking place from the 25th -27th October at Kensington Olympia, The Baby Show is the UK’s leading pregnancy and parenting event. There will be hundreds of stands, which will feature anything and everything baby and toddler-focused – from quirky new inventions to showcases from all your favourite nursery brands. There will also be hourly guest speakers including Jo Tantum, feeding and nutrition expert Annabel Karmel, and parenting guru Sir Robert Winston. With giveaways and special offers galore, make sure you don’t miss out! To celebrate BRITAX’s continued involvement with the Baby Show, I’m really excited to be able to give away a pair of tickets to the next Baby Show in October! BRITAX’s stall will be stocked with all the latest BRITAX and BOB products including DUALFIX, XTENSAFIX, KIDFIX XP SICT and the B-MOTION 4, with experts on hand to explain the latest technology and take you through all the car seats and strollers on offer. The tickets entitle you and a friend to full access at the Kensington Olympia Baby Show on a day of your choice. Little ones get free entry so they’re more than welcome to come along too! I went last year with my sister-in-law and we had the most amazing day and came home with lots of wonderful things. It was good to be able to test products out and speak to people in the know about so many different items. If you’d like to enter then please, use the Rafflecopter form below! Good luck! 🙂 T&Cs apply. This competition is brought to you as part of the BRITAX Mumbassador programme. To put simply, i-Size is a new regulation for child car seats that will make it easier for parents to choose and install the right seat, making travelling safer for children. One of the most significant changes parents need to be aware of, is how long a child should remain in a rearward facing car seat. Under existing laws, parents could switch their baby from their rearward facing Group 0/0+ seat into a forward facing Group 1 seat when they reached 9kg or approximately nine months. The new i-Size regulation means parents will have to keep their baby rearward facing until they are at least 15 months old and the move will be based on the size and age of the child rather than weight. The new length and age classification will help make it easier for parents to check that their child is ready to be moved to the next stage car seat. The new regulation is also about the reinforcement of ISOFIX seats use, which are easier to fit correctly and safely than those secured with the car seat belt. Only a third of belted seats are fitted correctly which can have serious implications in the event of a crash*. Side impact collisions are one of the most severe types of collisions on the roads** and for car seats to adhere to the new regulations they must pass the newly introduced side impact safety standards. Why is this regulation coming into force? Well there are a number of reasons, but in a nutshell, parents are too keen to move their babies forward facing on the premise they believe their child will be happier facing forwards rather than waiting until they have actually outgrown the seat. Parents are also unaware babies are much safer rearward facing in the event of a collision. Below 13kg a baby’s neck is not yet that strong and keeping your baby rearward facing for as long as possible (up to at least 15 months) will help protect their vulnerable neck in a frontal crash situation. So much research evidence has built up on this from crash testing that the EU has introduced this new regulation to keep babies rearward facing until 15 months. BRITAX has accompanied and strongly supported the development of i-Size right from the very beginning. So how does it affect you? As soon as i-Size approved car seats are on the market parents will be able to choose between a seat that abides by the older ECE R44/04 regulation or i-Size. The current ECE R44/04 regulation is not replaced by i-Size, and instead will continue in tandem until 2018. The introduction of i-Size simply means that consumers now have an extra option when buying a car seat for their baby/toddler. When should you change to forward facing? Don’t do it just because your baby’s feet are pushed against the car’s back seat. Wait until your baby is closer to, or ideally at, the maximum age (15 months) for her rearward facing seat than the minimum weight (9kg) for the front facing seat. BUT do move them if their head is protruding over the top of the Group 0/0+ seat. If they outgrow the seat in height but have not reached the minimum weight for a Group 1 seat, you should then invest in a combination Group 0+ & 1 seat. That is simply the safest option. What is the current law when it comes to car seat safety? The law requires all children to travel in an appropriate child restraint until they reach 135 cm tall or their 12th birthday (UK, NL, DEN) or 150 cm tall or their 12th birthday (GER, AU, CH, IT, CZ) – whichever comes first. It is the driver’s responsibility to ensure this is the case. Under the existing laws, parents could switch their baby from their rearward facing Group 0&0+ seat into a forward facing one when they reach 9kg (around nine months old). Now the new regulations, called ‘i-Size’, have come into force mid-July 2013, parents that purchase a child car seat approved under i-Size will have to keep their baby in a rearward facing seat until they are 15 months. There will be no change to the overall law about child seats being compulsory to the age of 12 or 135 cm/150 cm tall.